Off to the TdJ races, ok? 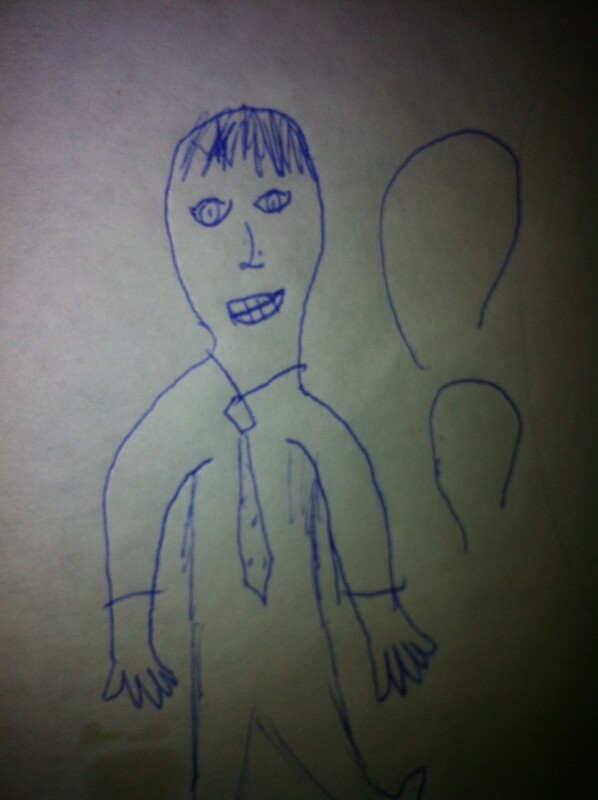 We will have a Guy With Tie, and an added bonus of another GWT (Girl With Tie)…DWT (Daughter W/Tie), actually. Let me explain my costume. I’m a Blind Date. Wearing a coat and tie, of course, but, being blind, nothing matches. 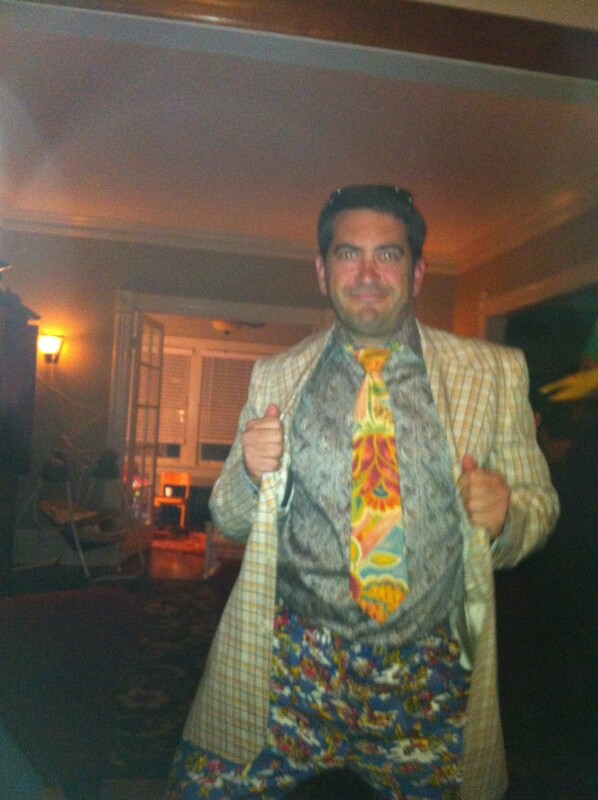 Plaid coat, paisley shirt, luau-print pants and, to top it all off, my cotton floral electro-strip of a Tie du Jour from Vivace. Do not adjust your computer screen. Sunglasses may be advisable. And I promise that I will always ask permission before wearing a similar outfit again. 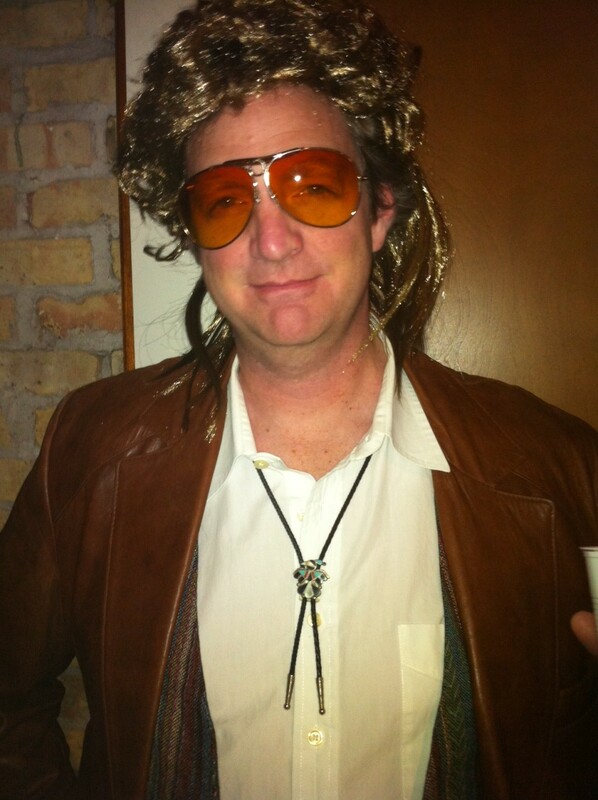 A friend of mine was also wearing a tie that evening, and the bonus of his tie was that it’s a bolo. Fellow Southerner Scott Counts looked rather pimpish in his stony bolo finery. 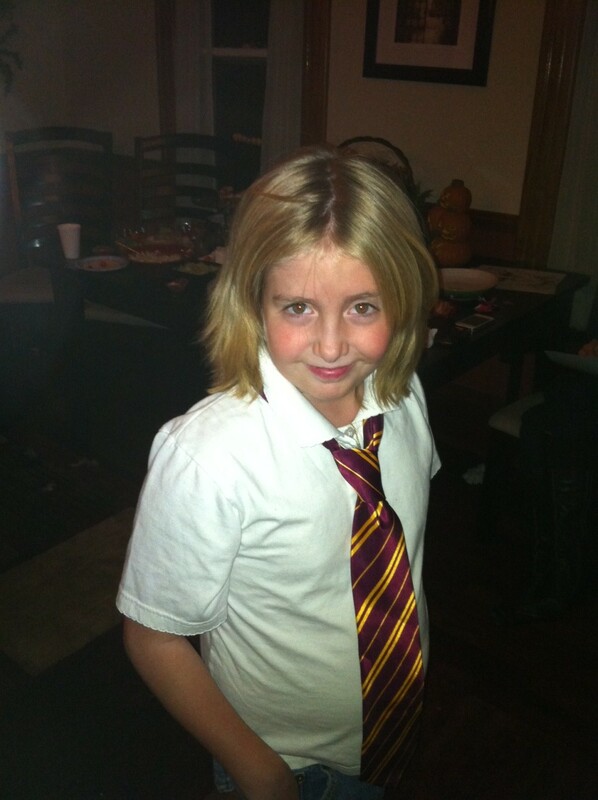 And another tie-wearer was my Julia, who dressed as Hermione Granger of Harry Potter fame. She had removed her big wig by the time I took this pic. Again, Happy New Year to everyone out there. I’d like to thank everyone for giving me the reason to come back and write 100 Days 100 Ties again. Can it be? Wow, this is two days in a row with a post! Kind of a pre-New Year’s resolution. I’m so. Darn. Proud of myself. Let’s make it quick, since this tie was worn waaaay back in November-like. It is a spectacularly green tie, designed by my good friend, Lee Allison (a GWT alum). These ties are made so well, with so much care, that they practically tie themselves. I loved finding this one at a local place called “Classy Closet.” I know I’ve had a bunch of 100D100Ties from there. This tie will be available on TieXchange very soon. Like, as soon as I take another picture of it, and upload it to our database. I have a lot of Guys With Ties coming up, so stay tuned! And check out TieXchange, if you get a chance. I am back. The ties are back. And, best of all, TieXchange is here. I have offered a couple of tie-teases with my last posts (yikes. October. ), but I’m ready to tell you all about TieXchange. 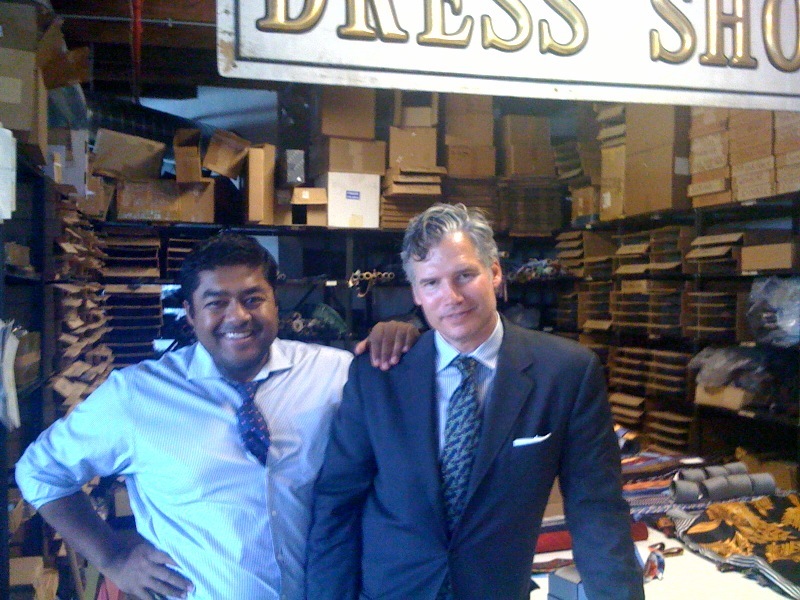 TieXchange is a new venture that has been started by me and my friend Chris Chaudruc (a Guy With Tie, of course). A TieXchange membership gives you the right to receive an unlimited number of ties, one or two at a time. Monthly and annual memberships are offered, and many of my 100 Days, 100 Ties are available to put into your TieQ. In all, there are 140 ties from which to choose, and we are adding dozens per week. In addition to our sending TieXchange ties out and receiving them back, we will offer an exchange service. 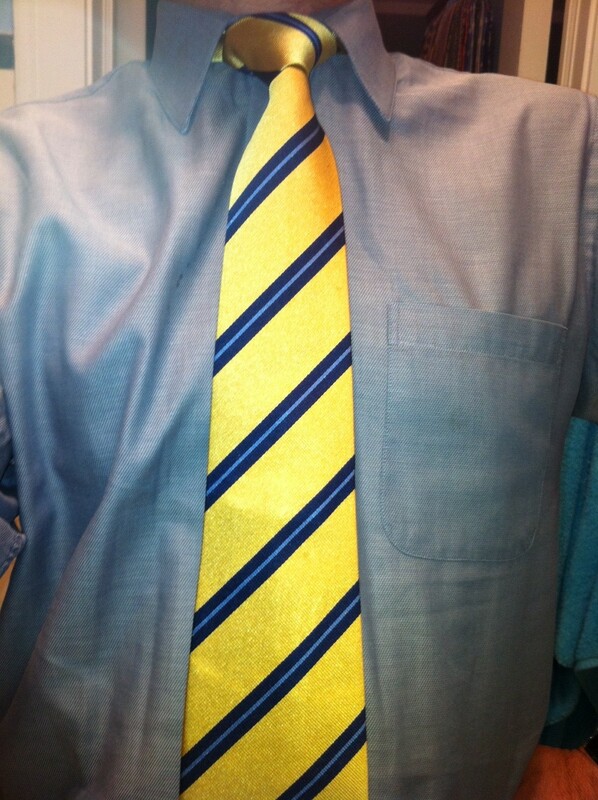 Once you join, you can send photos of ties that you no longer wear (and no longer wish to keep). We will assess their condition, as well as their brand, and offer credits on TieXchange purchases (all ties arrive with a ‘Buy Tie’ price) and future memberships. We are live right now, and looking for subscribers. Here’s a link to take you right to our subscription page. Check us out! 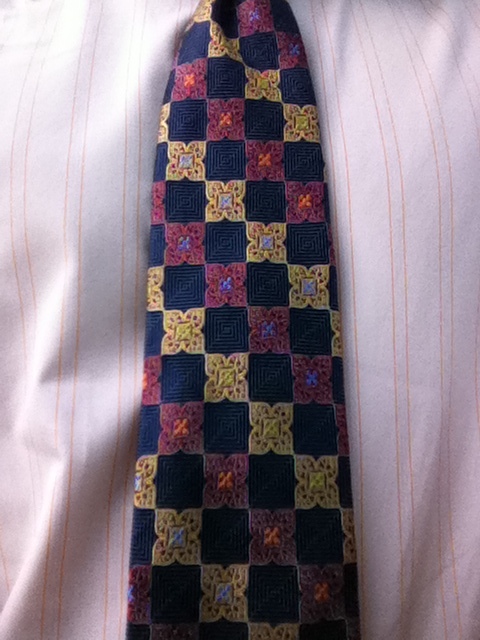 So, now it’s time to go back several weeks for my Tie du Jour. 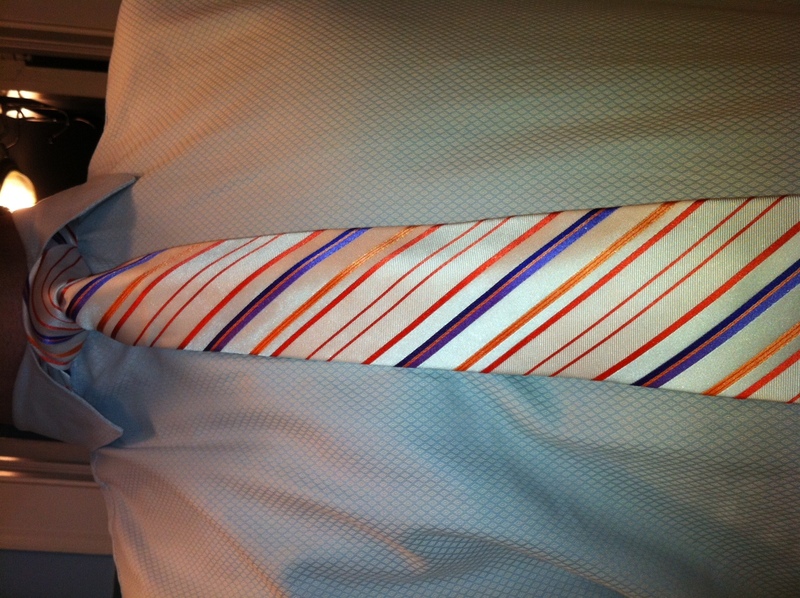 It’s a gorgeous white strip from Express, with orange and purple stripes. 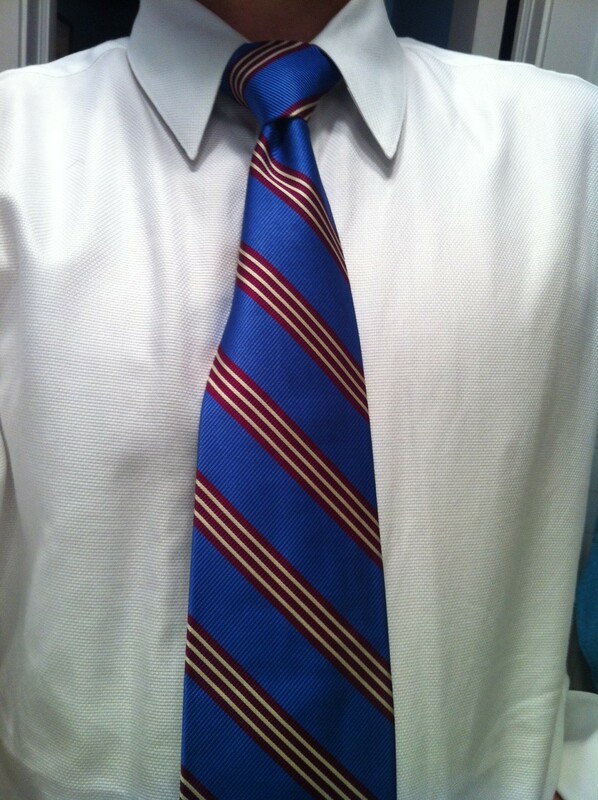 Look for the next several ties that I’ve worn recently in the next few days. 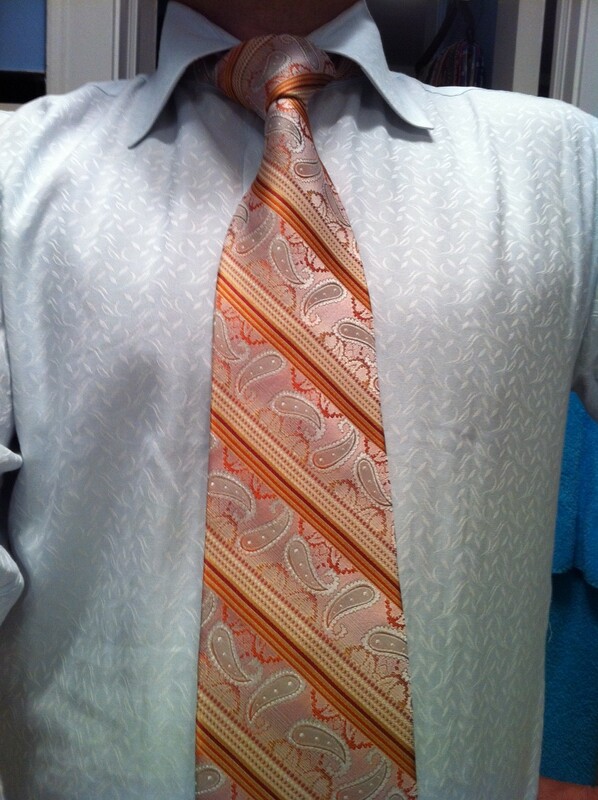 Unlike yesterday’s foray into an advice column, today I will get straight to the Tie du Jour. Well, at least I will after I admit that I failed to mention my final bit of tie-storing advice to my cousin Beaux (former GWT). 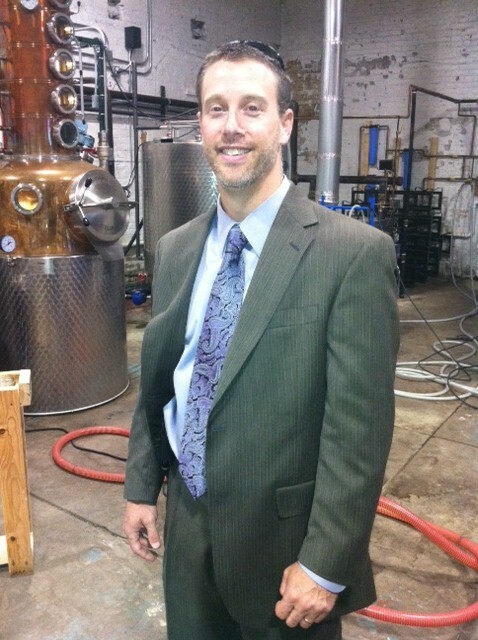 As I have captured in a photo on this very blog, I use suit hangers to keep my ties separate once I’ve worn them. There’s no reason this can’t also be a method of keeping not only your ties off the closet floor, but also of keeping your momma happy that you have such a clean room. And believe me, keeping a room clean is not a genetic trait amongst the males in my family. My TdJ is an example of the foray into the funky colors that could be captured through the use of synthetic materials. Of course, these wunderfabriks had also been used to make the dull blue/brown/black ties that went along with the white/blue/mustard work shirts of the BusinessMan of the 60s (or Dwight Shrute). There just seemed to be a funky creepin’ in, sometime around the late 60s. I gotta scan some pix from my youth…not only am I wearing some retina-searing color combos, my folks’ garb was definitely Brady-esque. Thank goodness they never matched each other, or me and my brother. Anyway, the TdJ is from Beau Brummel, and it’s polyester. Dacron, orlon, klingon…does it really matter at this point? Yes, I hid it under a sweater, not because it was bordering on ugly, but because I found a stain (old Campbell’s soup…mmm, good) that I hadn’t caught — or tasted — at Unique Thrift Store. The knot gives you plenty of perspective on its, um, colorfulnessosity. Okay, the mention in my last post that I would spill the beans on TieXchange was apparently a tease. But, I will give the basics here: TieXchange will be a membership-based wardrobe enhancer. For a modest annual or monthly fee, one can select from a growing selection of new and pre-worn ties. One (or two, depending on the membership plan) of those selected strips will arrive in the mail, ready for wear. After wearing them as many times as the aforementioned ‘one’ so pleases, the tie is returned, after which another tie from the queue will shortly arrive. We hope to have it ready in the next couple of weeks, but feel free to click on the link and submit your email address to us. Good brain, bad brain. It seems that the latter seems to be making itself known a lot more, at least in my world. I don’t even have the commercially-fueled image of “This is your brain on drugs” to blame my mental ineptitude on. Just duh-lightful. My cousin (and GWT alum) Beaux Jones sent a query via Facebook the other week, asking if I had suggestions on proper tie storage. I think his question was based on his assumption that there were better places than a closet floor. Yes, Beaux, there are many places that are better than the floor, even for storing ties. I employ a few methods. I have a wire rack that hangs like a coat hanger, and can store about 10-20 ties. I also have an extending rack (that’s what he said) with individual pegs (on which I hanged up to 3 ties). It attaches to the closet rod (watch it), and holds 30-90 ties. 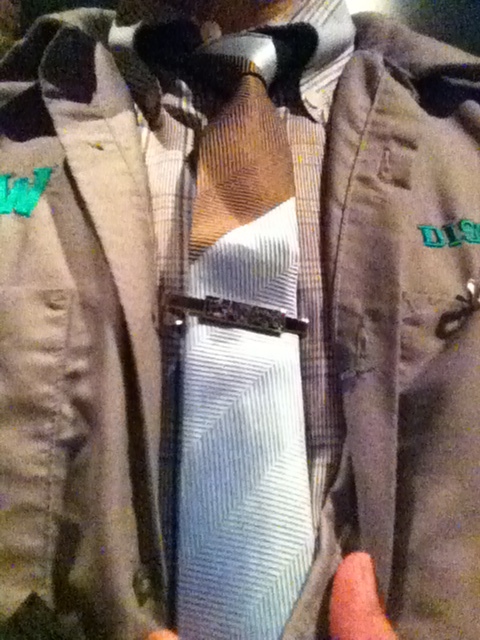 Thanks to another GWT alum, Dr. Vince Roberts, I have a Fast Track tie rack. Vince either wasn’t using it, or he found it at a resale shop. It revolves pretty slowly, but is a pretty good way to hang 50 ties or so. So, young Beaux, count your ties and buy something that will hold double that number. A collection will grow, right? Then, as you approach the max number for your tie rack, you can either purge some rarely-worn strips, or you can just get another rack. 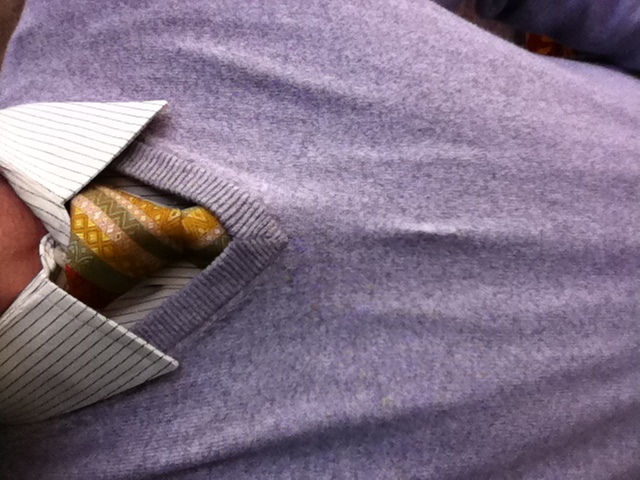 Off the old-man tie-wisdom, and on to the Tie du Jour. 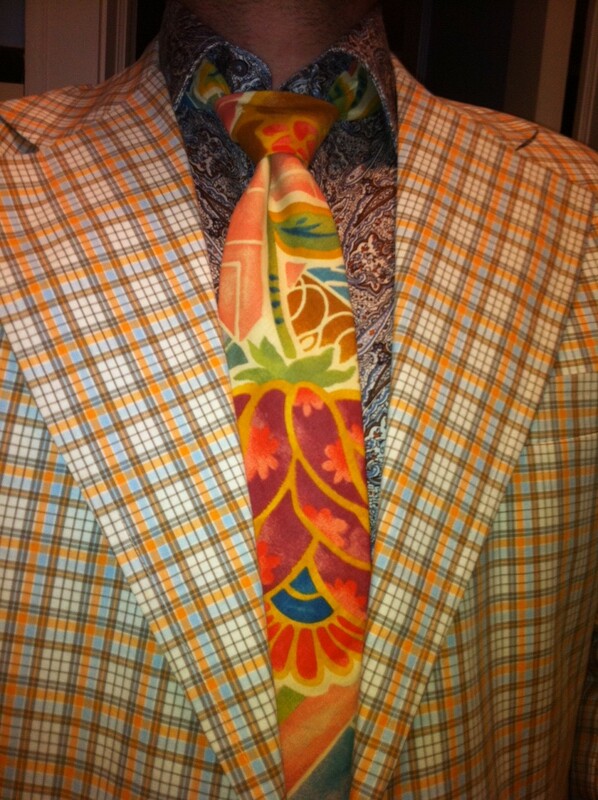 It’s from Studio Ron Chereskin, and it’s a big orange paisley beauty. Great material, and it tied really well. I picked this up at the Salvation Army in Skokie. Speaking of SA, I must say that I really miss the one that was on Kedzie here in SE Evanston. Not only was it nice to drop stuff off there, but in case of a need, it was convenient to go in and take a quick look-see. 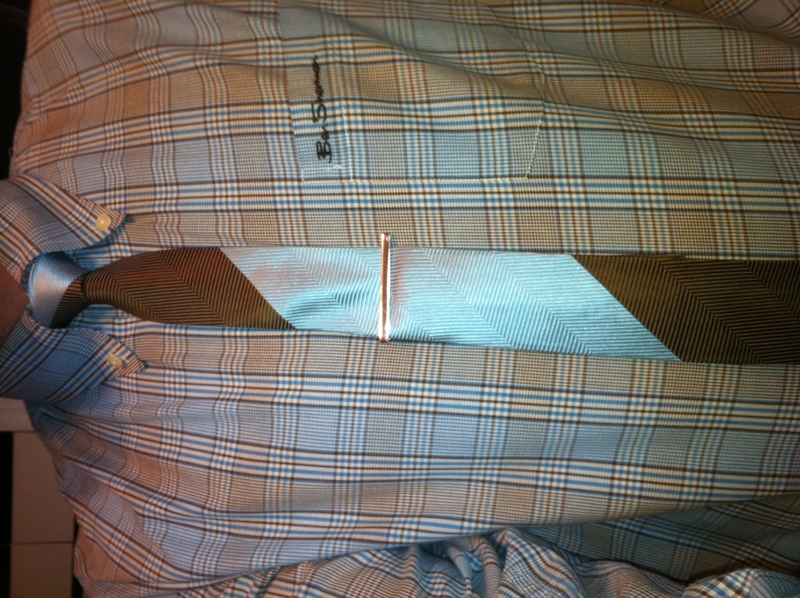 My next installment will include details on my new tie venture, the TieXchange. Can’t wait to share it with y’all. This evening I choose to focus on the ‘random’ portion of my subject, rather than the tieolence/violence sector. I have 5 or 6 ties to write about, and I’m going to select one of them at random to write about. Okay, kids! It’s a parlor game! Yippeee! Welcome to my parlor, then, as we check out the available strips for our playing enjoyment. Round and round she goes, where she stops, nobody knows. Will it be on the green, the orange, the blue/brown stripey one? We have a winner [insert phony exclamation point]. 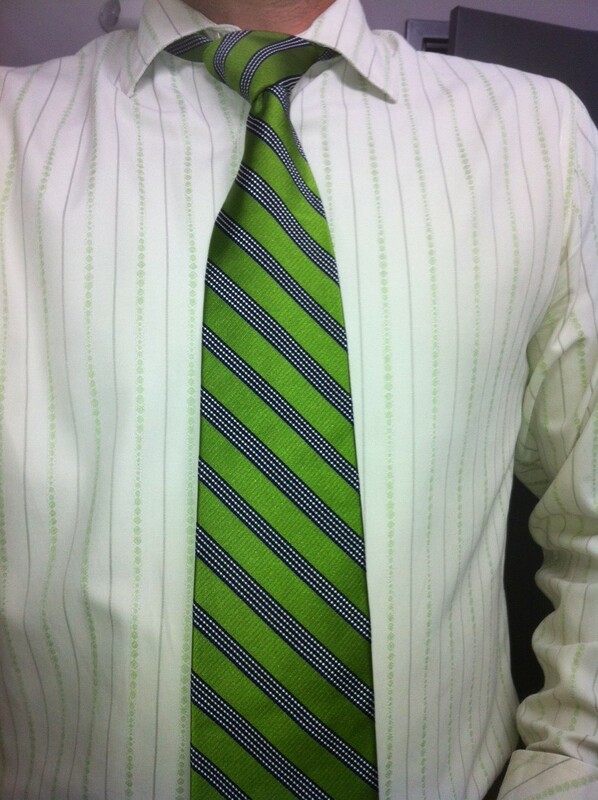 The panel of judges have selected one of my rare green strips for Tie du Jour superblogdom. It’s another 100D100T selection from Liberty of London, or so I suspect (the label seems not right). I guess that game wasn’t quite as exciting as I expected. 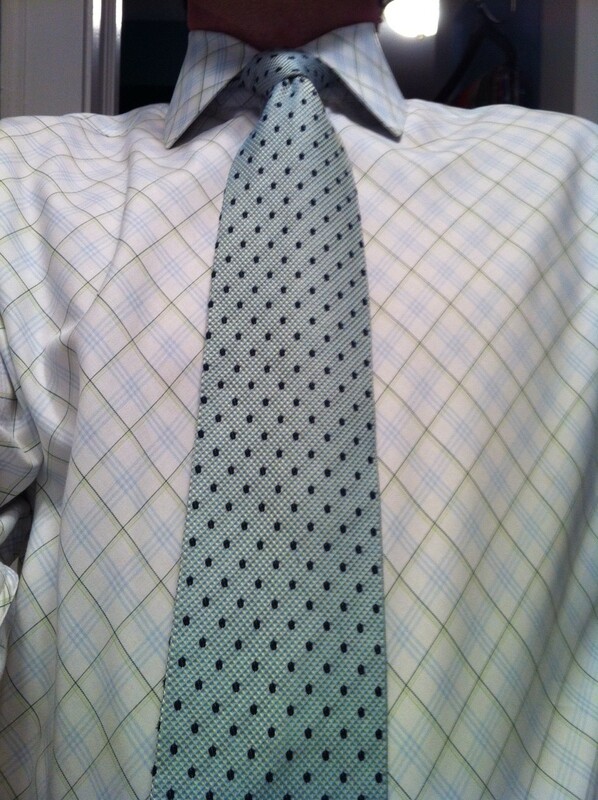 Oh, well, it’s still a Liberty tie, specked with blue ovals. And, again…BUT, now that Mike Judge is bringing B&B back, I guess she WILL be old enough to watch. Or not.